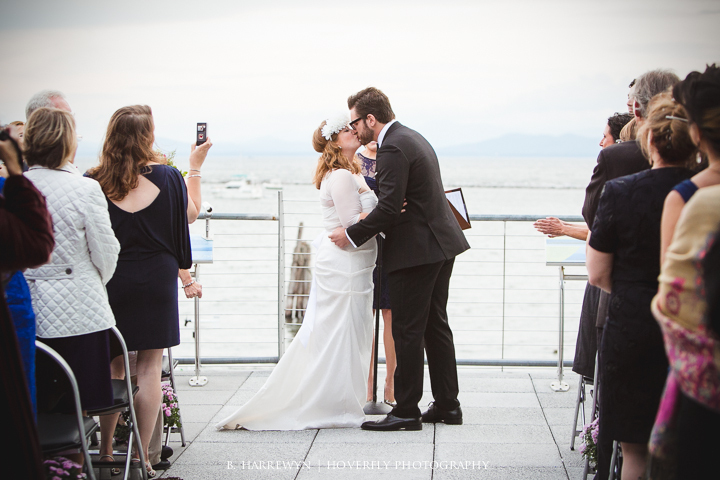 This week I celebrated one year married (and nearly 10 years together, wow) to my husband! In some ways our wedding feels so far away, especially considering the new baby on the way, but I can also remember the planning and celebrating like it was yesterday. I can practically feel the butterflies and excitement I had as I was getting ready, and the huge outpouring of love and happiness showered on us from all angles from family and friends. And I can vividly remember the incredible food and drinks (p.s. Our amazing caterer and bar catering in Burlington, VT.) While I am a firm believer that weddings are a time to par-tay, I took some great advice from family and avoided alcohol so I could soak up all of the amazing-ness and the night wouldn’t go by too fast! However, I had to make a small exception and try the signature drinks my husband and I created for the occasion. Sure, one was labeled “bride” and the other “groom” but they were both delish. Mmm! 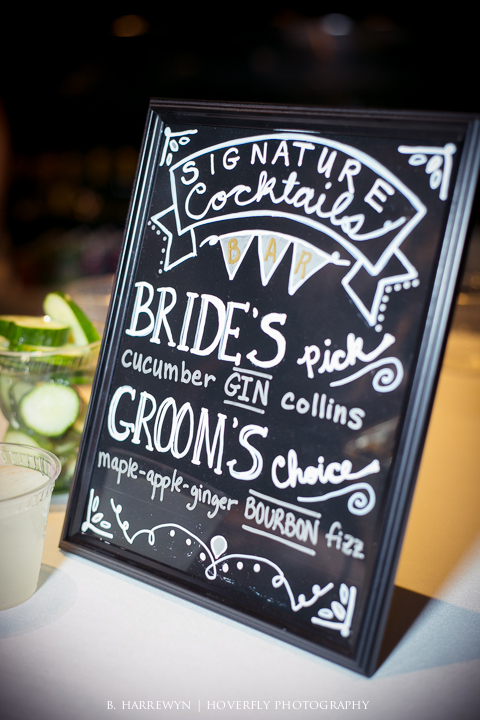 We didn’t have to do too much research since we knew exactly what we wanted, but there are lots of great resources and inspiration out there for signature drinks (and all aspects of wedding planning.) Check out some of our favorites: Lover.ly, Pinterest, Style Me Pretty, and Bar Geek. Better yet, get thee to the kitchen with some of your favorite ingredients/flavors and start testing! It’s a hard job but someone has to do it. TIP >>> We found that keeping ingredient ratios equal was easiest for our bar caterer and for us to ensure the drinks would be as fabulous at the wedding as they were in our living room. Want to recreate our signature cocktails? Recipes below! At the reception we served ours punch style in large glass dispensers but you can also use this recipe for a single cocktail (or two.) Feel free to mess with the ratios to suit your taste (but, see TIP above)!